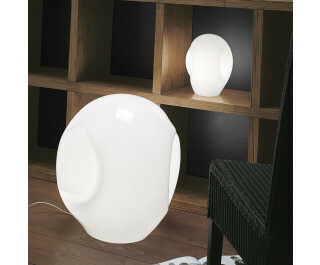 The Munega lamp by Vistosi has been designed by Luciano Vistosi 1978. This blown glass design was created using the "free hand" technique. This lighting will add decoration to room. This beautiful light was hand crafted on the island of Murano.